The GrundyOrganisation / O-10 Network. 692 x 60mins. 1979-87. Creator: Reg Watson. Executive Producers: Reg Watson, Godfrey Philip. Producers: Ian Bradley, John McRae, Philip East, Sue Masters, Marie Trevor. 45 (ST)	RCA. 103316. 1979. Produced by The Grundy Organisation, Sydney, Australia. Side a: “On The Inside”. (3:11). (Allan Caswell). (ATV Northern Music). v: Lynne Hamilton. 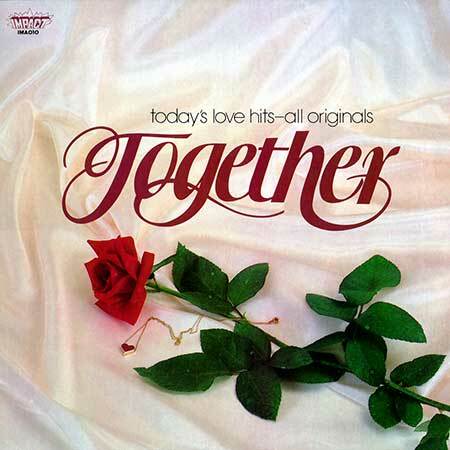 Side b:	“Love Theme From “Prisoner””. (2:23). (Allan Caswell). (ATV Northern Music). William Motzing Orchestra. LP(t) (OP)	WEA. 600053. 1979. “LYNNE HAMILTON - ON THE INSIDE”. S1-Tk2 “On The Inside”. (3:12). (Allan Caswell). (ATV Northern). v: Lynne Hamilton. LP(t) (OP)	Summit/Concorde. SCD499-025. 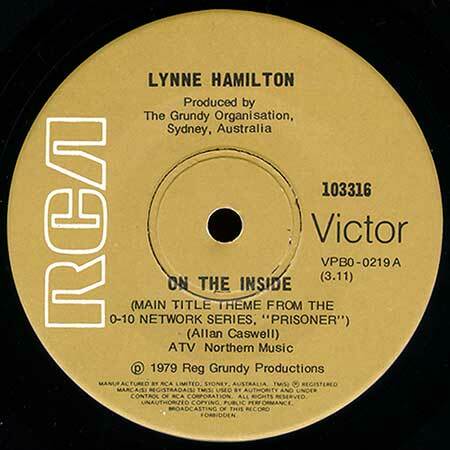 “LYNNE HAMILTON - ON THE INSIDE”. S1-Tk2 “On The Inside”. (3:12). (A. Caswell). (ATV Northern). v: Lynne Hamilton. Arranged and Produced by Mike Harvey. LP(t) (OP)	Impact. IM-A010. “TOGETHER”. S2-Tk5 “On The Inside”. (Caswell). (Northern). v: Lynne Hamilton. LP(t) (AD)	Tmak. TMAK 052. “T.V. AWARD WINNERS”. S1-Tk6 “On The Inside”. (A. Caswell). S2-Tk2 “On The Inside from “Prisoner””. (2:46). (Allan Caswell). (ATV Northern Songs). LP(t) (AD)	WEA. 250163-1. 1983. 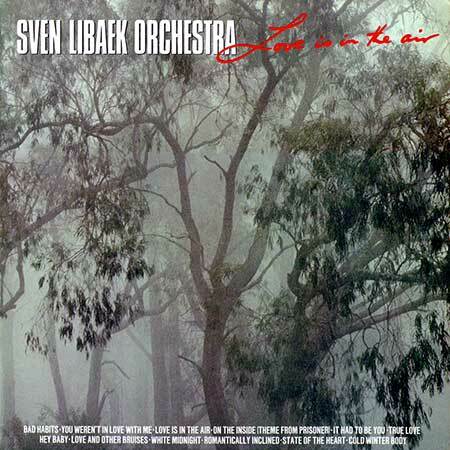 “LOVE IS IN THE AIR - SVEN LIBAEK ORCHESTRA”. S1-Tk4 “On The Inside (Theme From Prisoner)”. (2:50). (Allan Caswell). (ATV Northern). Sven Libaek. LP(t) (AD)	Diamond Promotions. DP001. 1983. 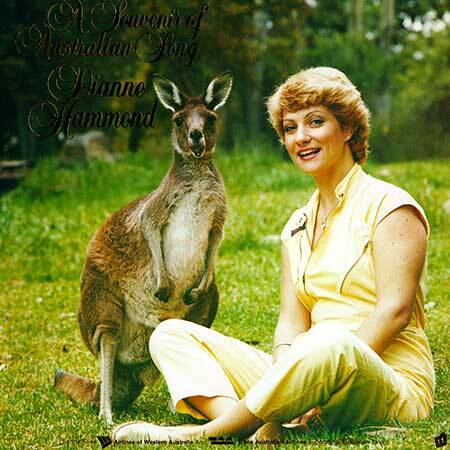 “A SOUVENIR OF AUSTRALIAN SONG - DIANNE HAMMOND”. S1-Tk5 “On The Inside”. (Allan Caswell). (ATV Northern Songs). v: Dianne Hammond. LP(t) (AD)	Lucky. LTV-98. 1984. 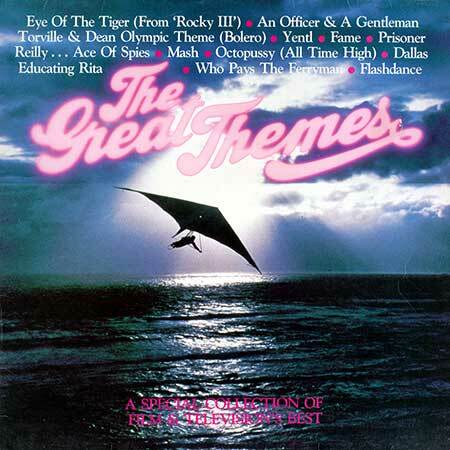 “THE GREAT THEMES”. S2-Tk1 “On The Inside”. (A. Caswell). LP(t) (AD)	Selection. PRML-011. 1979. “On The Inside”. v: Johnny Ashcroft, Gay Kayler. “On The Inside”. v: Alison Durban. LP(t) (AD)	Polydor. 6437 129. “On The Inside”. v: Alan Caswell. CD(t) (AD)	ABC. 7243 8 55445 2 1. 1996. “MCFEAST BREASTS”. “On The Inside”. (2:36). (Caswell). (EMI). v: Elle McFeast. LP(t) (ST)	(See COMPILATIONS - AUSTRALIAN TV’s GREATEST HITS: S1-Tk14). LP(t)	(ST)	(See COMPILATIONS - T.V. TUNES - 50 OF TV’s GREATEST THEMES: S1-Tk2). 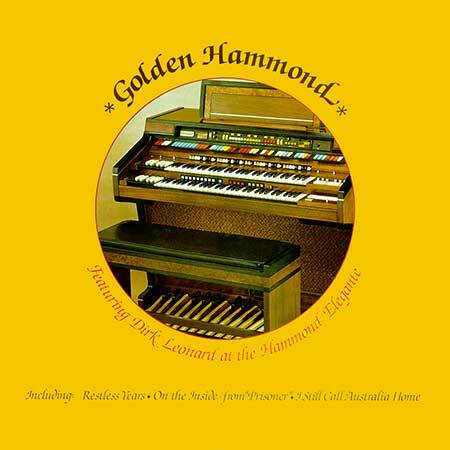 CA(t) (AD) (See COMPILATIONS - RODNEY CLARKE PLAYS AUSTRALIANA: S1-Tk3). LP(t) (AD) (See COMPILATIONS - THE TIMELESS LAND AND OTHER GREAT TV THEMES: S2-Tk4). CD(t)	(AD)	(See COMPILATIONS - AN HOUR OF T.V. & MOVIE THEMES: Tk9). 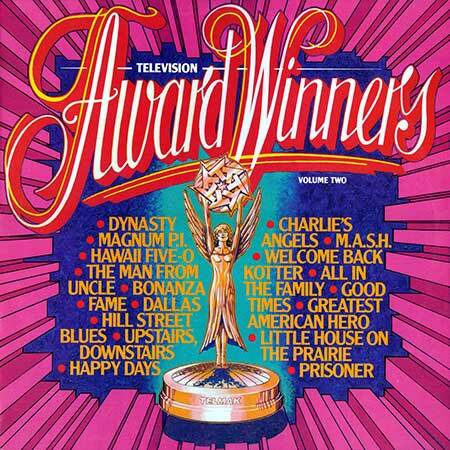 CD(t)	(AD)	(See COMPILATIONS - TOP TV SOAP THEMES: Tk8).